Photo: Bright and cheerful Thanh Ngoc. 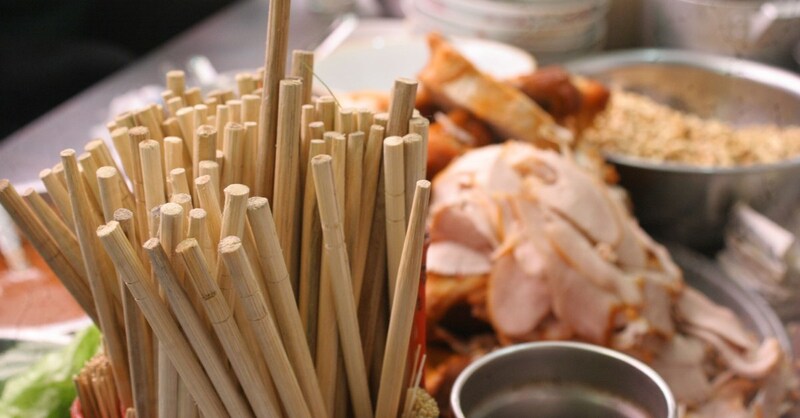 Set in a row of affordable guesthouses, some of Thanh Ngoc’s rooms stand out from the bunch. The rooms inside the building are just okay but the ones upstairs, accessed via the front rooftop terrace are superb: clean, lots of natural light and access to the terrace overlooking the road. We think Room 110 is the best. Situated upstairs in the front corner, there are windows on two walls and minty green paint makes the space seem bright and cheerful. You can also open the windows for fresh air. This room has twin beds, air-con, WiFi, wardrobe, a box TV, wall-mounted hooks and a shiny new bathroom with hot water shower. The rooms downstairs are perfectly fine but since they don’t have windows, they just pale in comparison to these ones we described, which are great for the price. Ton Duc Thang Street runs west along the water before curving up and into town. 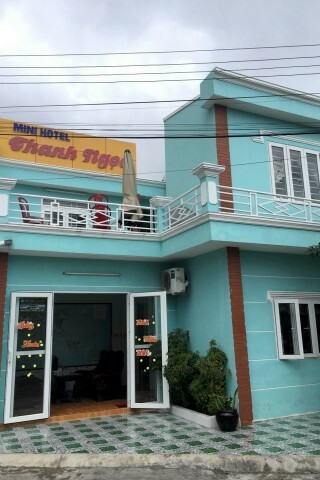 You’ll find Thanh Ngoc Mini Hotel and other good cheap places to stay here on this western curve. If you’re on the hunt for budget accommodation, we suggest you start in this area – we inspected the lot and they were all decent and similarly priced.